Stone Studio: Which animal are you? 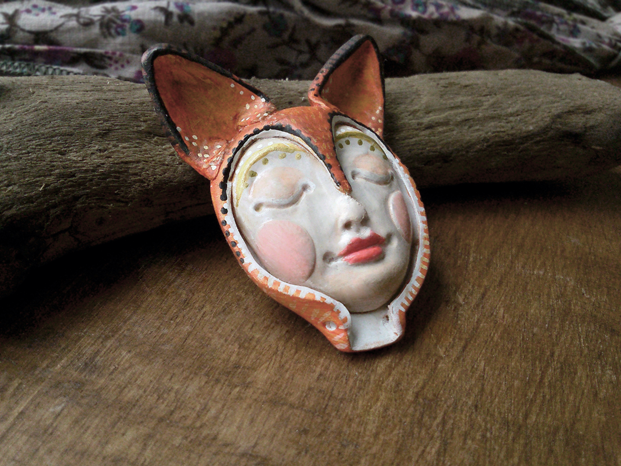 I have finished working on first couple of my "Woodlands Little Creatures" series. Another three done, but I can't say I am proud of this trio. I recognize my mistakes and I need to work on them. 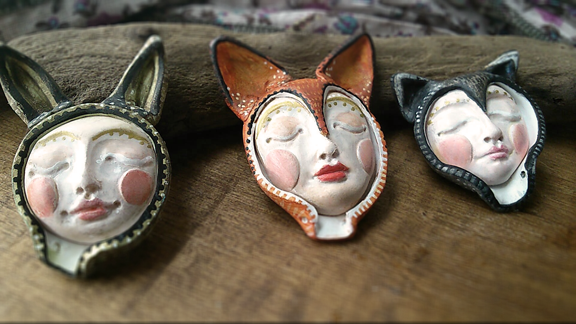 Anyway, here they are: a (small this time) hare, also small raccoon and a fox.....I won't lie if I say I repainted them at least four times each...I had sorts of difficulties while making them, completely opposite to the first three I made which I painted just once (!) each and the difference it is easily seen - at least for me. 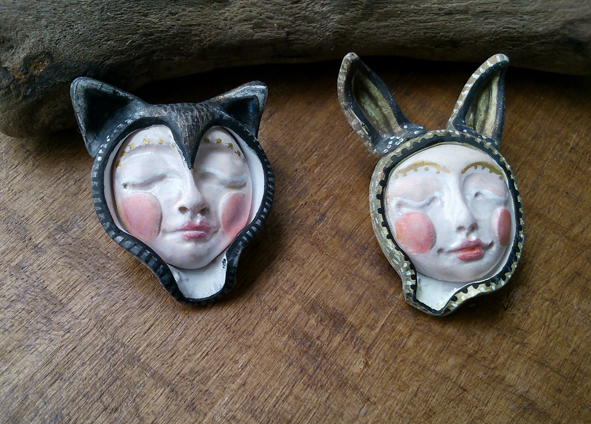 So I am not a happy bunny and I am working on new ones. This is not something I want to carry for a long time, rathere a limited collection of 6-10 brooches. Idealy I would like to finish them whithin those two weeks and start something different. Ha ha! We are our own worst critics! These are beautiful! Thank you Alison, that is very kind of you :) I believe that only by recognizing our mistakes we can progress, but yes, sometimes it is nice to have a balance and acknowledge when we did something good. Hope I will get better with the second one in this New Year as I have a bit of a problem with that.